When the temperature falls below freezing point, 0°C (32°F) moisture in the atmosphere freezes and becomes tiny ice crystals. As these ice crystals move around they stick to one another forming unique hexagonal shapes. When these hexagonal snowflakes become heavy enough they fall from the sky as snow. 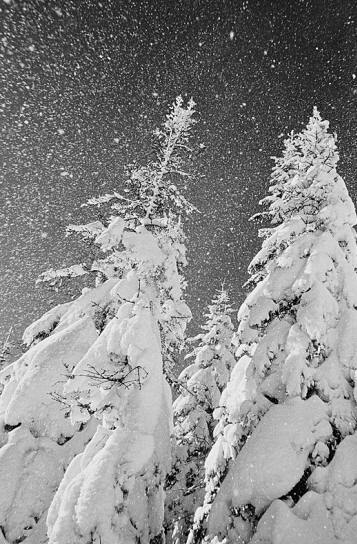 Why are snowflakes big or small? If the temperature is close to freezing point there is more moisture in the air and the ice crystals are stickier meaning that more join together before falling from the sky. This snow is often termed ‘wet snow’ because of its stickiness and falls as large snowflakes. If the temperature is very low then there is less moisture in the air and the ice crystals are drier making it more difficult for them to join together. This snow is often termed ‘dry snow’ or ‘powder snow’ because of the lack of moisture and falls as small snowflakes. Because of the many variables that go into producing a single snowflake the chances of finding two that are identical is very small. Snowflakes are made up of ice crystals which are clear like ice. Snowflakes are made up of many individual ice crystals and the effect of light bouncing off all the individual crystals makes it appear white. A snowfall is generally termed a snowstorm when the snow falls very heavily. A snowstorm is sometimes called a whiteout because visibility can be severely reduced. A blizzard is a snowstorm that occurs when the wind is blowing at 35 mph or more causing snow to blow into huge drifts that can bury cars, buildings people and animals. The effect of the wind blowing makes the temperature seem much lower and is known as the wind chill factor. Sleet is snow that begins to melt as it falls. It reaches earth as a watery lump of snow. What are the dangers of snow? 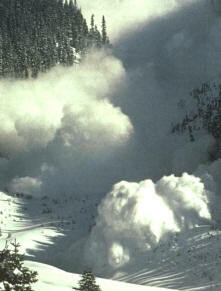 Large, prolonged or heavy snowfall can pose a danger to life. Driving conditions are hazardous and the number of road traffic accidents increases. There are some things that can only be done in the snow. Many children, and adults, love to go outside for snowball fights and to build a snowman. 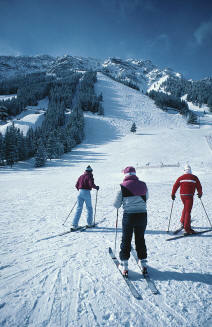 Winter sports such as skiing, snowboarding, bobsleigh and tobogganing can only be done when there is snow on the ground.